If you have Legacy Forms that you used for imports, keeping track of Purchases, or anything else that now makes more sense to handle with a Tag, this article will show you how to convert them over. Click on your Form, then go to the Reports page. Click the Download Subscriber List button on the right-hand side of the page. Wait up to a few minutes while your list is being exported and sent to your account email address. Click Create a Tag, this is under the "Add Subscribers" button and below your Segments. Choose a name for this Tag and then Save. 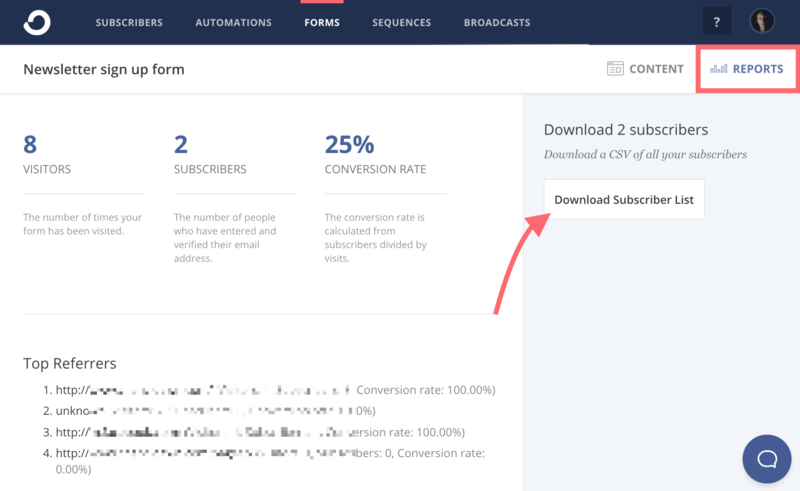 Now click the Add Subscribers button and select Import a CSV. Select your newly created Tag. Next upload your CSV file. That's it! You've just added your Subscribers from your Form to a Tag.